Considered soft window treatments, shades are available in multiple styles. Read more to find out if shades or blinds will work best in your space. 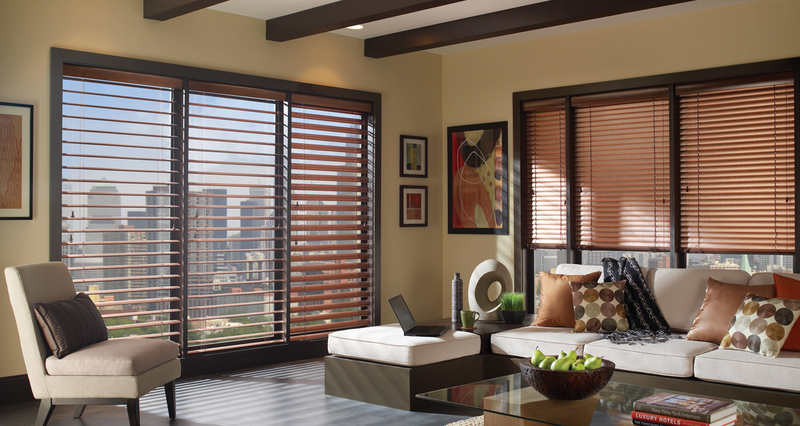 Considered a modern alternative to shutters, woods blinds offer a warm and inviting look. Wood blinds are available in light and dark hues and in polished or painted finishes. For an earthy vibe, opt for slats made out of bamboo; both decorative and eco-friendly. Faux wood blinds are more durable and moisture resistant than real wood. 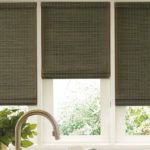 This type of blind is often used in high humidity spaces, such as the kitchen, bathroom, or garage if the look of wood is desired. 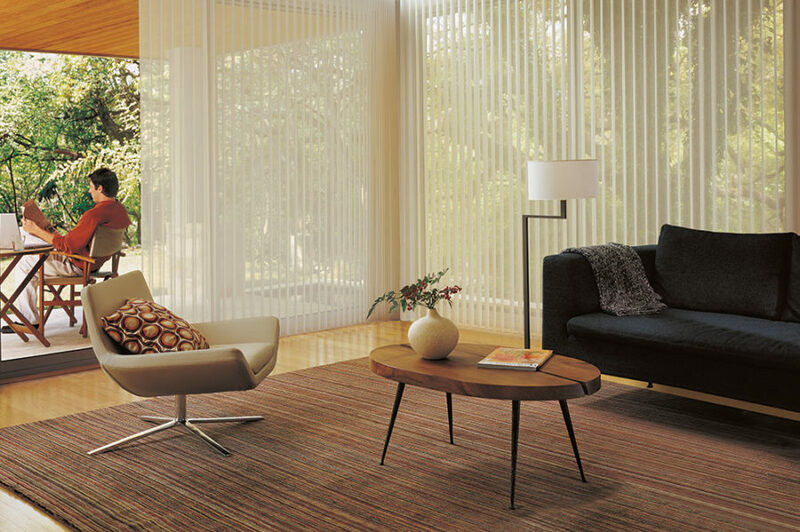 A durable and budget-friendly option, vertical blinds are perfect for windows that are wider than they are tall. These blinds are not only practical, but also provide maximum light control. These blinds are great for any large glass window, vertical blinds are especially popular for sliding doors. Also called Roman blinds, Roman shades are considered a more tailored and sleek option. Easy to install and operate, the wide pleats fold flat when pulled up. They are also available in blackout fabrics. Commonly known as cellular shades, this simple and clean looking style comes in a wide variety of light-filtering or room-darkening fabrics in a large selection of colors choices. Available in single, double, and triple-celled window shades. This style offers special lifting options, including a continuous cord loop to help lift large, heavier shades, and the popular bottom-up/top-down. This means the shade can be raised and lowered in either direction for privacy similar to that of a café curtain. Like most shades, they offer privacy but allow some light into the space. A bit more expensive than conventional styles, blackout shades are used to completely keep sunlight out of a room. 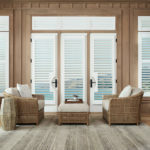 Offering full, natural coverage, woven wood shades (many made from bamboo) come in a number of finishes that filter different variations of light. Available in a wide range of privacy weaves or open weaves, these shades are made with natural woven woods that offer clean lines and textural interest to a space. 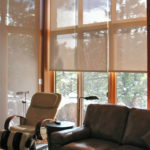 While still maintaining privacy, a roller shade is a simple and effective design that filters soft light into a room. 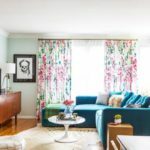 Available in sheer weaves, which allow more light into the room, or the popular room-darkening shade, roller shades can be raised and lowered in one smooth, easy motion. Solar shades are ideal for sun-facing rooms or rooms that need light control (like a media room or study). Solar shades are made from sheer weaves to provide protection from the sun by reducing glare, preventing furniture damage from UV rays, and diffusing light. Available in multiple patterns and textures, pleated shades are easy to install and operate. Pleated shades come with a privacy liner which provides a uniform, white appearance from the outside.